Writing a captivating paragraph doesn't have to be an overwhelming task. 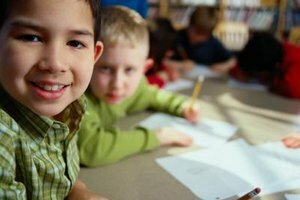 Learning to write an effective and well-designed paragraph is an essential skill for elementary school students. It's a skill that will serve them well as they progress through the grades, because they will be required to compose long essays and research papers to meet curriculum standards. Children will also need this skill as they apply to college and write their entrance essays. Writing doesn't come easily to all students, but teaching them the essential components of a paragraph will pave the way for improved writing skills. A paragraph isn't just a sentence or two. Rather, a complete paragraph is usually between five and seven sentences, but can include more if necessary. This is an essential nugget of knowledge for children learning to write paragraphs, because anything shorter isn't likely to get their message across to readers. Students should also understand that a longer paragraph doesn't necessarily mean that the paragraph is better. In fact, having the right sentences makes all the difference between a good paragraph and a poor paragraph. A paragraph needs specific types of sentences to be effective and well written. 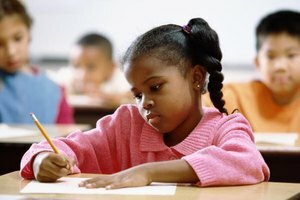 The first sentence students need to compose is the topic sentence, which is a thought-provoking and captivating introduction to what the paragraph will be about. Once a topic sentence is written, students should include three to five supporting sentences. Each of these sentences will introduce details that lend credibility to the topic sentence. 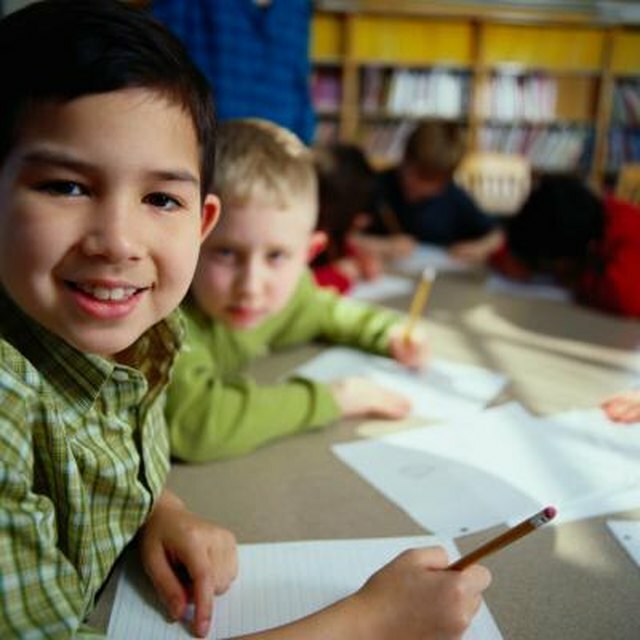 For example, if a student is writing about dogs, the topic sentence might introduce the idea that children can help take care of the family dog. The supporting sentences would each cover a certain aspect of that care, such as feeding the dog, taking the dog for walks and playing with the dog. The last sentence in the paragraph should tie all the information together, and is called the concluding sentence. Word choices can set a good paragraph apart from a boring paragraph. When students write paragraphs, they should use colorful language and vary their word choices. Students should review adjectives and strive to include several adjectives in their paragraph to make the information come alive. For example, a descriptive sentence about a birthday cake might state that "the vividly colored frosting glistened on the edges of the cake, inviting people to run their fingers through it" rather than simply saying that "the green frosting looked good." Good punctuation and grammar are also essential when writing an interesting paragraph. Students should review period, comma and question mark rules, as well as basic grammar rules such as how to use contractions and how to avoid double negatives. 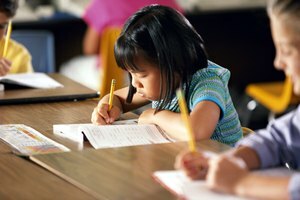 While some students are able to write a good paragraph on their first try, most children need to practice several times before churning out a well-written one. Help students make lists of possible topics that are relevant to their lives. Writing about what they know will help students compose paragraphs more effectively. Making a list of adjectives will also open the students' minds to potential words to include in their paragraphs that will make their topic come alive. Review rough drafts with the students, making suggestions and letting each child think about what else they might include to make their paragraph more interesting. Proofreading is also key and will help students hone their spelling and grammar skills, as well as write a better paragraph. Ipatenco, Sara. "Top Things Kids Should Know When Writing a Paragraph." Synonym, https://classroom.synonym.com/top-things-kids-should-writing-paragraph-32571.html. 26 September 2017.